Are you looking for a Pizza Hut sales, discount, voucher code or deal? Here are the best shared by our community of bargain hunters. St. Patrick's Day 2 Large Pizza Deal for Just £24.99! 41% off Food at Pizza Hut until 24th Jan. Restrictions Apply. Get a Whopping 41% off Your Pizza Hut Bill until 24th January 2019. Dine In. £5 Pizzas at Pizza Hut! Get Your 25% off Voucher at Pizza Hut Today! NOW LIVE!! 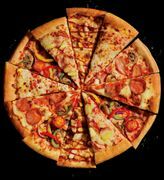 41% off Pizza Hut 7 - 25th Jan (Nationwide)! 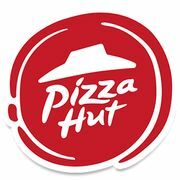 Pizza Hut is an American chain and international franchise established in 1958 by Dan and Frank Carney. The company’s story started out when the founders, who were students at that time, decided to open the world’s first Pizza Hut restaurant in Wichita, Kansas by borrowing $600 from their mum. Today they have more than 15,000 locations around the world and is a subsidiary of Yum! Brands Inc., one of the world’s biggest restaurant companies. The restaurant is split into various different formats; the original family-style dine-in locations; storefront delivery and carry-out locations; and hybrid locations that have carry-out, delivery, and dine-in options. Some full-size Pizza Hut locations have a lunch buffet, with "all-you-can-eat" pizza, salad, bread sticks, and a pasta bar. They also have other business concepts independent of the store type like their Pizza Hut Bistro which are “Red Roots” and have an expanded menu and slightly more upscale locations. In 1973, the biggest pizza name in the world opened its doors to the UK. They started out as a single Hut in Islington, London and currently they have more than 700 restaurants and delivery outlets across the country and they continue to be known as one of the best pizzas in town. Since they came to the country, they are proud of their service and great food, from Deep Pan and their very own invention, the Stuffed Crust and Cheesy Bites. Here at Latest Deals you will find the best and the hottest Pizza Hut sales, discounts, coupon codes and voucher codes posted each month by our massive community of bargain hunters! Can’t get enough pizza? Then check out our mouth-watering monthly offers and deals for Papa John’s and Dominos! Collection Exclusive: Any Pizza, Any Size for only £5.99 from a Delivery Hut! What does Pizza Hut sell? What are their Pizza types? Pan: Also known as “The flat one”, their classic deep pan base is thick, crispy around the edges and deliciously soft and fluffy on the inside. All American Thin: Hand stretched since 1958, their classic thin base is light on the stomach and crispy on the taste buds. Stuffed Crust: A Hut favourite! Stuffed and baked with melted mozzarella around the edges, wrapped in soft dough and smothered in garlic and herb butter. Cheesy Bites: Doughy bites bursting with cheese and garlic. Tear and share, perfect for dipping! Gluten Free: Best served with lots of toppings for added taste. Feel Good Flatbreads: A range of flatbread pizzas each specially created to be under 550 calories. For questions and enquiries regarding delivery and collections, you can message them using their Online Contact Form. You can call their Customer Team on 0330 123 0790. Calls from UK landlines and mobiles will be charged at local rate. Your network provider will include these calls as part of any inclusive minutes. For more information, visit their full Contact Us page. What are the delivery options for Pizza Hut? Pizza Hut offers free home delivery and collection. The best way to find if they deliver to your address is to enter your postcode in their Find My Hut search tool on their website. From there you can find your local Hut for delivery and collection, as well as finding your nearest dine-in restaurant. If they don’t have a Hut near enough to you to deliver, you can search for the nearest one for collection by selecting the “Collection” tab. Please note that they only accept cash payments for delivery orders up to £25. Delivery time usually takes under 30 minutes from the time your order has been successfully placed. However, there are times this may vary so if your order is running late, call them using the number provided in your confirmation email and confirmation page. For more information, read their full FAQ and Help page. How do I return an item to Pizza Hut? If you wish to cancel or amend your order, make sure to call your local Hut, details of which will be included in the confirmation email sent to you upon placing your order. If you amend your order, the price charged will be the price for the amended order. If you paid by Credit card the price difference will need to be paid separately to the Hut or any refund would need to be processed by their Customer Services team. If you are not present to take delivery of the goods at the address given in your order, then they will not refund you the price for your order and will charge you for the full amount of your order. Introducing Pizza Hut's deliver your mind, body and soul to a new style of luxury retreat.